Well recently i got a project in which i had to work with GoogleAnalytics API. filters. Filters like page referrer or page which contains few request parameter in URL. I am much familiar with .net technology so i was keen to get any complete demo on web so o could complete this task in few hours. 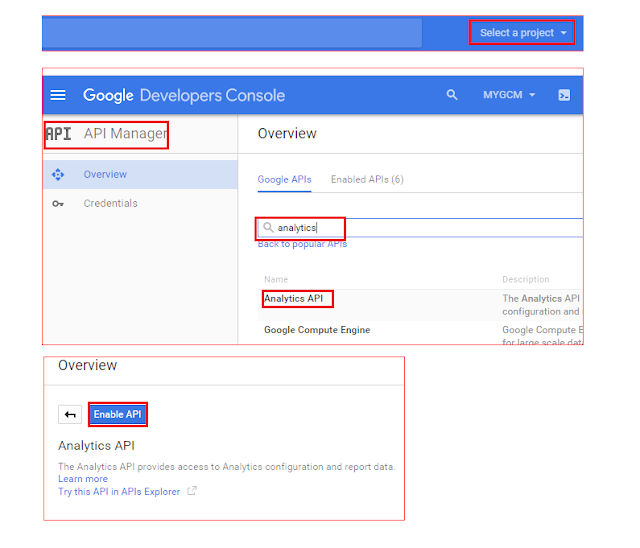 After spending one hour on web i found it is too easy to call Google Analytic Api. I follow google's steps and got successfully my record data. Here i am going to list all steps which is required to accomplish this task. 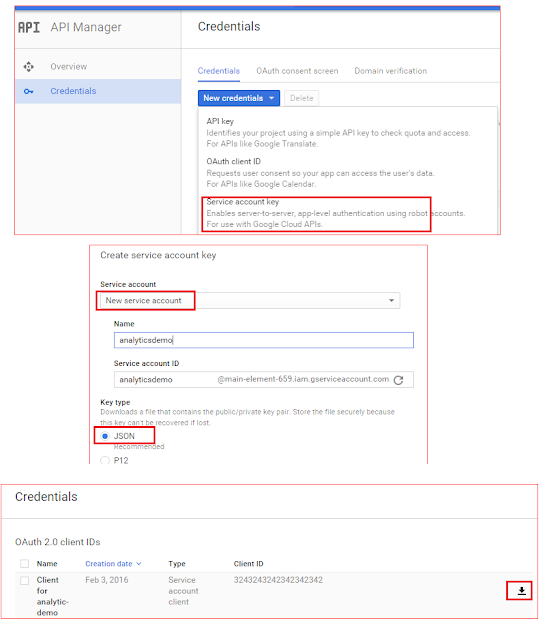 You must have google account and Google Analytic account. Make sure you are able to track users and page view using google analytic web. So you will sure that your analytic code is working for a site. And you have sufficient data to test it out. There you can select any existing project in drop-down or you can create a new one. An easy steps are given in below picture to enable Google Analytics Api for a project. credentials which you will further use in your application. Just follow the steps given in figure and get Json downloaded with private-key and other details. analytics accounts. You need to grant access to service email. After login click on the Admin button on the top of screen. Select an account/site/blogger you would like your service account to be able to access. Click on "User Management" under the account section. Enter the email address that was generated for your service account and give it read and analyze permission. Now your client_email (....@.....gserviceaccount.com) will have access of your analytics account. Final step in which you will integrate all with code in C#. I am going to use simple console application so that i could complete all quickly. Because i know you are very annaxious about code. account with in time period using some filter. Filter would be based on URL match. 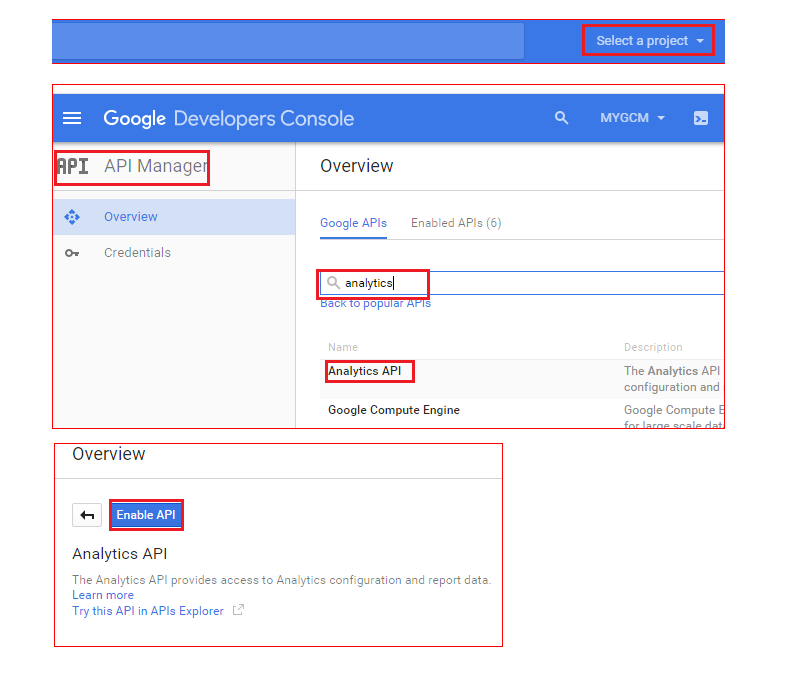 It will install Google.Apis.Analytics.v3 sdk in your application. Make sure you added all given namespace in your application. //Make initial call to service. //if so parse and call again using start index param. Solution: Service account email must have access of analytics account under user management in analytics panel.